Worbla was at USITT a few months ago and spoke with RIT about their Polyester DyeMore line and their new Proline series. 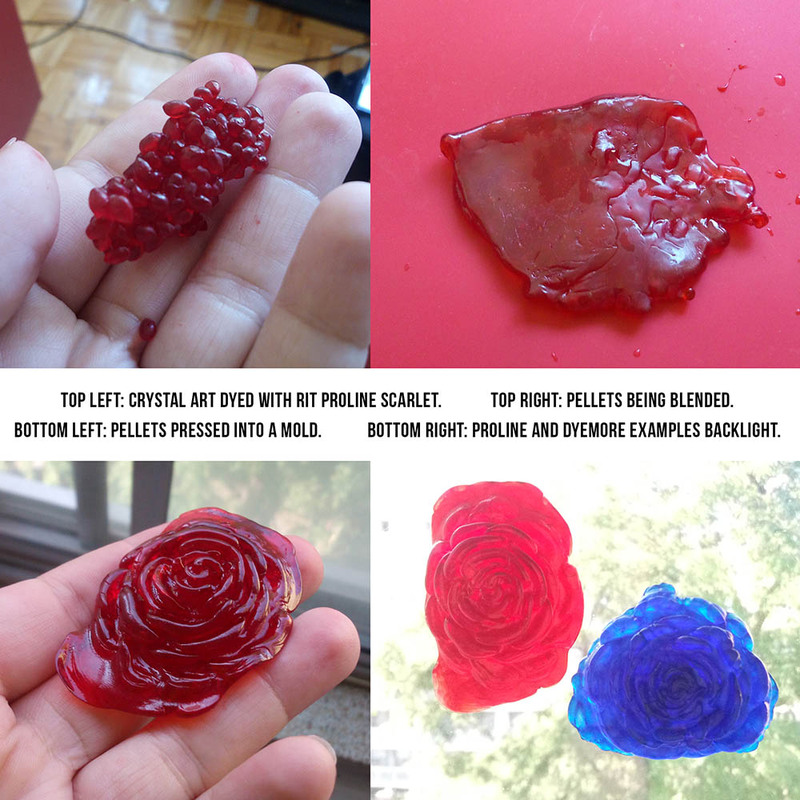 We’d discussed how these dyes might work on Worbla products – and Rit set us up with dye to test ourselves. This ended up being a pretty in-depth test over a few weeks, so below is a LOT of information. If you’d like the TLDR: Rit Dyes Are Pretty Awesome and we’re very happy with the results. For more detailed information, continue below! 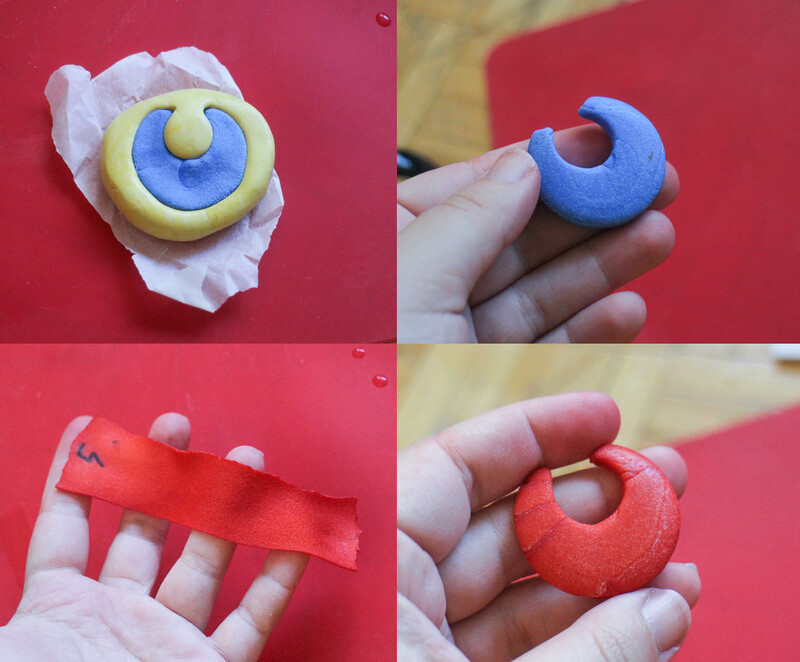 To start with – dyeing Worbla? Dyes traditionally came in two types – dyes for plant fibers and dyes for protein fibers. Neither of these tend to work on plastics, giving at best a vague tint if they left any color at all. Polyester dyes for home use are rather new, and are designed to dye plastics. While originally made for fabrics, folks have turned to using them to color plastic like Lego, acrylic sheeting, wig fiber and of course, Worbla! 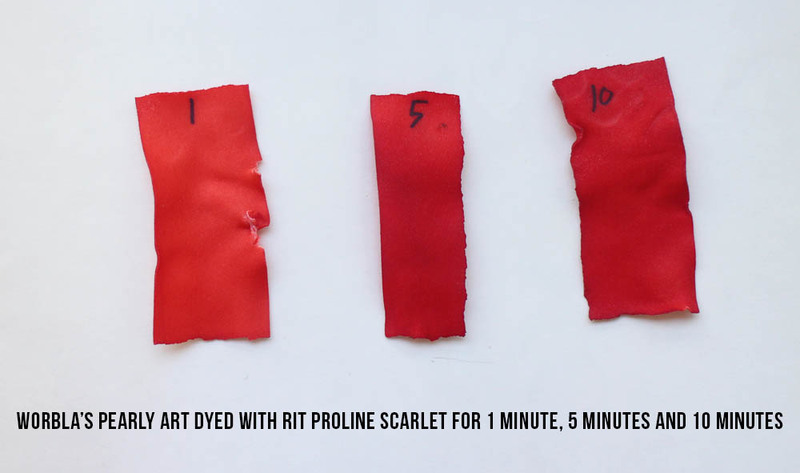 We’ve used other polyester dyes in the past, specifically iDyePoly by Jacquard, so we wanted to run the Rit dyes through the tests and see how they held up. 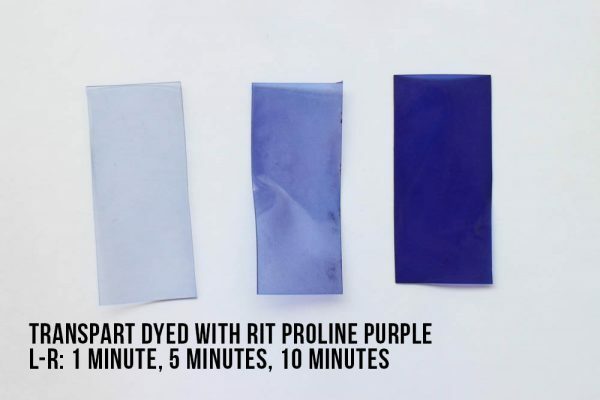 Rit Dyes are also non-toxic and safe for septic and sewer systems – which makes for easy disposal when you are done. 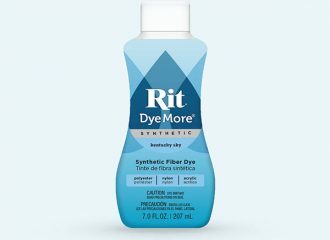 Rit’s DyeMore is a bottled, liquid dye. It is formulated for synthetics and easily dissolves in water and comes in a wide range of shades. 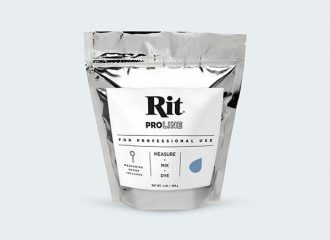 Rit’s ProLine is a powdered dye that “contains an advanced mix of direct, acid and disperse dyes enabling you to dye a wide range of fabrics and materials at scale”. These are large re-sealable packages in 1 and 5lb amounts that come with a scoop for measuring and can dye synthetic and natural fibers. Both these dyes require heat, so you need to make sure that anything you are dyeing is heat safe, and that you use the right safety gear to avoid injury (or staining). These are both general safety tips and things we have learned in the process of these tests. Always follow the instructions on the package. Always use the correct safety equipment when dyeing. 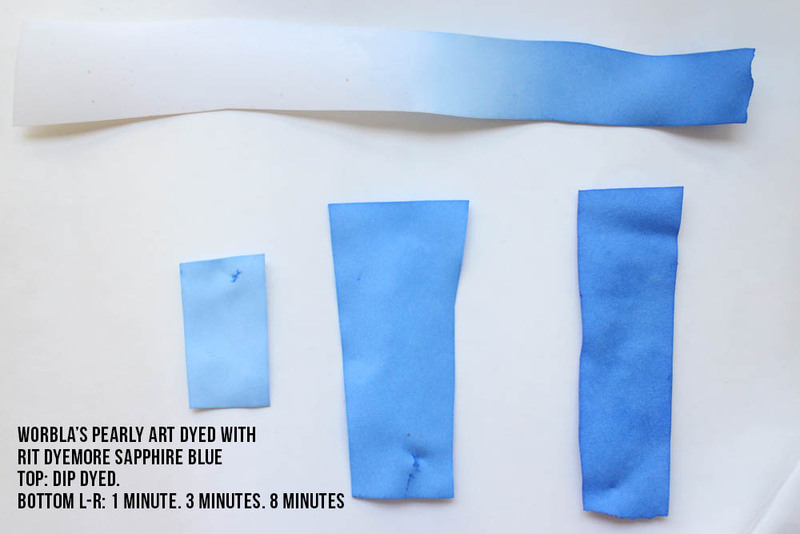 Always do a small test first to see how your dye will react. Do not dye in or use tools you then use for food. Always have enough room in your container to be able to stir the material for an even color. Work one piece at a time for sheet Worbla, or make sure that the pieces will not touch in the dyebath or they may stick. Stir or agitate gently or Pearly may deform and stick to itself. If Pearly or TranspArt touch the bottom of your pot, they may get darker ‘spots’. It is really hard to remember the e in dyeing every time you type it in a doc this long. Rit has a color guide for their DyeMore line, giving you formulas to create a very wide range of colors. You can also contact them to ask for advice on creating a specific color for your purposes! TranspArt is the most commonly dyed of our plastics – dyeing TranspArt to create flames, ice, and water effects has been part of using TranspArt since its inception. We dyed the TranspArt in a large stainless steel pot on the stove, over medium heat. We used roughly 10 cups of water and 1/4 cup of dye, because we needed enough water in the dyeing vessel to keep the plastic from touching the bottom of the pot while being stirred. DyeMore worked very well, giving an even result so long as the TranspArt was agitated/stirred. If left in the pot without movement, the dye could become uneven or splotchy. We also noticed that having the heat be consistent helped the TranspArt absorb the dye. When placed in hot water that was removed from heat, the color was less intense. We dyed the TranspArt in a the same pot with roughly the same amount of water. We started with 1 scoop of dye, but found that the scarlet color was not quite rich enough and added a second scoop to see if that would improve the intensity. All of these pieces were stirred to prevent the color from becoming uneven. For the TranspArt the red became a much more orange tone, and also seemed to hit ‘max’ intensity at the 5 minute mark. Because we weren’t sure if the color intensity was more a matter of the Scarlet color itself, we did the same test with ProLine purple. There is a much clearer difference between the timed samples here. 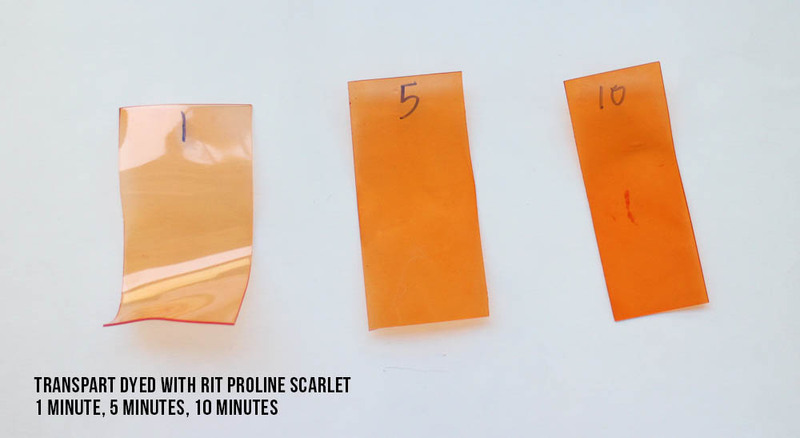 You can see the 5 minute sample is more uneven – that piece was not stirred as often. The darker your desired color, the more apparent this will be, so make sure you have time to stir! We expected these dyes to have a strong chemical smell, as the iDyePoly line does, but Rit surprised us: the DyeMore liquid line has no perceptible scent, so much so that we forgot to check for a scent until someone asked. The ProLine smells out of the bag, but once dissolved in water it is a very mild scent that did not linger. For this reason alone we’d use the Rit dyes instead of the Jacquard line going forward. In addition, the Rit dyes left very little residue. There was no residue left whatsoever on the TranspArt with the DyeMore liquid dye, and the residue from the ProLine was minimal. Worbla’s pellet plastics are used for a variety of hand formed and molded shapes. Being able to add color in advance allows you to create pieces that don’t need paint, and surfaces that can’t have the color chipped or worn away, as well as keeping the transparency of Crystal Art. While you are most likely to dye TranspArt or Crystal Art with these dyes, they are handy for Deco Art as well. 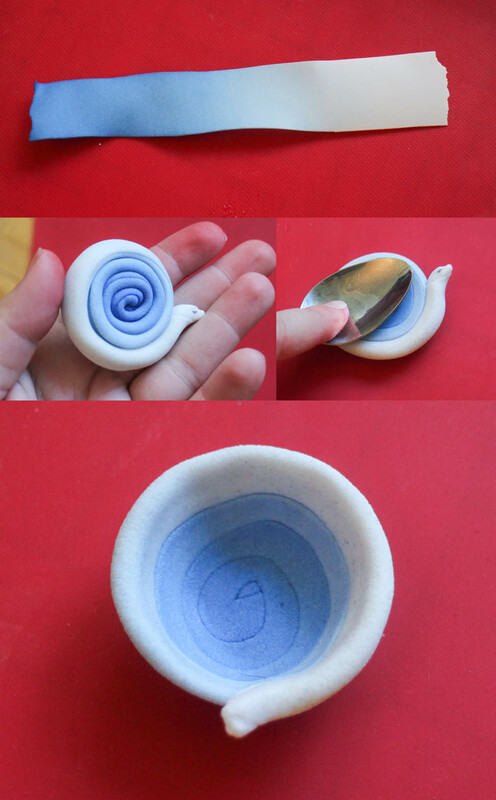 We dyed small batches of plastic and so used 1/8th a cup of water and a few drops of dye in a small ramekin. The Deco Art or Crystal Art was added, stirred, and then microwaved for 30 seconds, then for short bursts of 5-10 seconds each until the water had boiled (your microwave times may vary). This allowed a quick way to heat the pellets and have them absorb the dye. Only use the microwave method if you a) own your microwave b) will watch the entire process. Do not microwave plastic unattended. Do not microwave without enough water to cover the plastic. Do not use a dish you will eat out of later. For Deco Art: heat water in the microwave or a kettle, pour into a container you WILL NOT use for food. Add dye, then pellets. Stir occasionally until pellets have absorbed dye. For Crystal Art: use a pot for dying, heat water first then add dye. Place pellets in a metal strainer to keep them together and allow them to soak in the water. The pellets were activated from the hot water enough that we could remove them, let them dry for a moment and then press them into a mold right away without reheating. One thing we noted was that this gave us a somewhat mottled effect. Our second attempt we kneaded the pellets together first into one fluid bit of plastic, and then pressed it into our mold, which created less of a mottled effect – but it was still noticeable. Our last attempt, we blended the dyed pellets together and pressed it into a flat shape, then put that back into the warm dye bath for another 2 minutes. When removed we pressed that into our mold – which gave us a very even color. In short: if you want an even color, you will want to plan to blend your pellets to unify everything, then redye the piece for a minute or two before shaping. Depending on your microwave power, your pellets might be hot enough to shape or you may need to remove them and hit them with a heat gun for a bit before shaping. 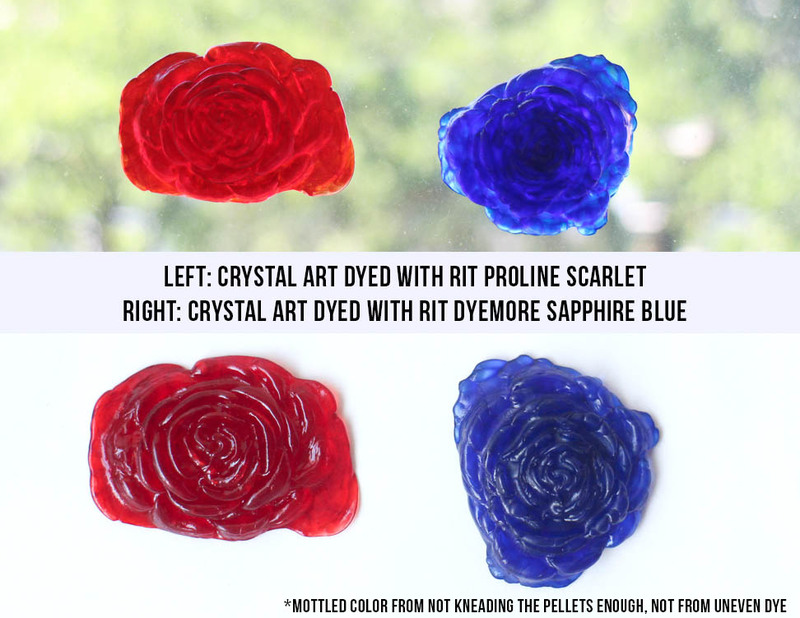 With Crystal Art it is important to blend the pellets together (check out our page on Crystal Art for more info here) in order to get a smooth translucent effect. You can see we didn’t quite knead the pellets perfectly on the second piece to the right. Crystal Art takes the dye exceptionally well – so much so that you will want to work with very little dye to keep a more translucent effect. You can see on our left example just how deep the color can be with only a small amount of dye. 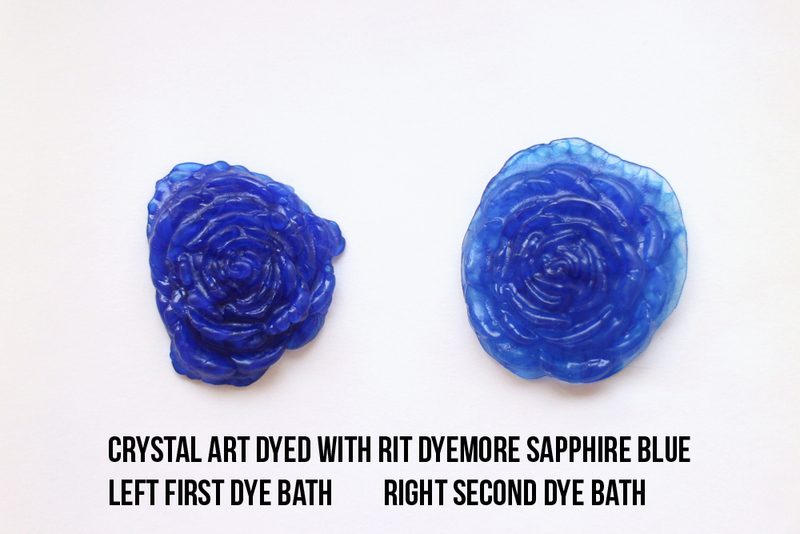 The Crystal Art also absorbs the dye from the water more noticeably, meaning when we dyed the second piece in the same container/water it came out lighter, as there was less dye to absorb. We mixed the ProLine with some warm water to fully dissolve, using 1/8th a cup of water and a tiny 1/8th of a teaspoon of the powdered dye in a ramekin. We then added the pellets. We used a microwave as we did for the DyeMore above. The pellets were activated from the hot water enough that we could remove them, let them dry for a moment and then press them into a mold right away without reheating. Learning from the DyeMore experiment, we kneaded these pellets together, pressed them flat and put them back in the dyebath for another 30 seconds, then kneaded again before pressing into our mold. Our microwave wasn’t strong enough to activate the pellets, so while they were dyed they needed to be heated further to shape. Keep this in mind when doing your own tests and plan to have something to drain into! The pellets were heated and blended into a putty, then pressed into the mold. You can see from the above examples that because we took more care with blending, the individual pellets were less noticeable. You can also see how deep the color is here. 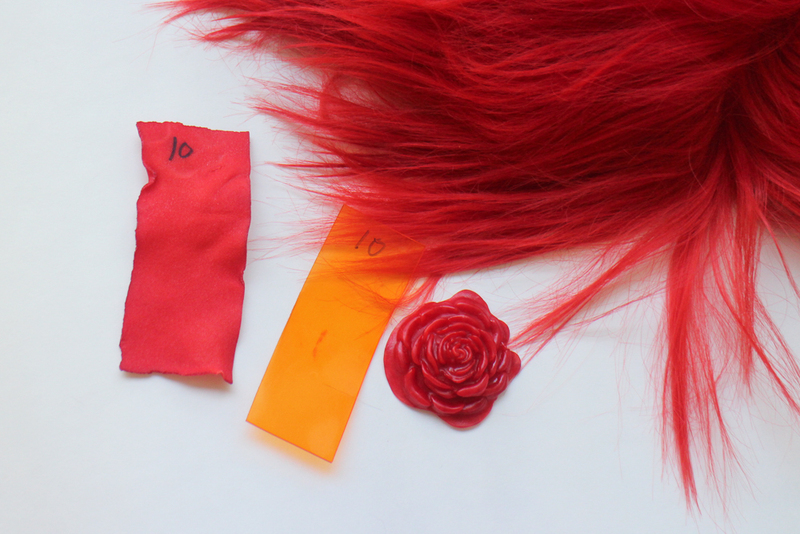 You need very very little dye for this depth of color – so consider doing serious testing if you want only a tint! One thing about this method – we did notice some residue ended up on our fingers because we didn’t rinse the pellets before getting to work. So make sure you use gloves or rinse the pellets before shaping. This probably won’t be your first method of choice for coloring Worbla’s Pearly Art, but we wanted to see if it could be done – and absolutely Rit dyes work on Pearly. We dyed the Pearly in our large stainless steel pot on the stove, over medium heat. 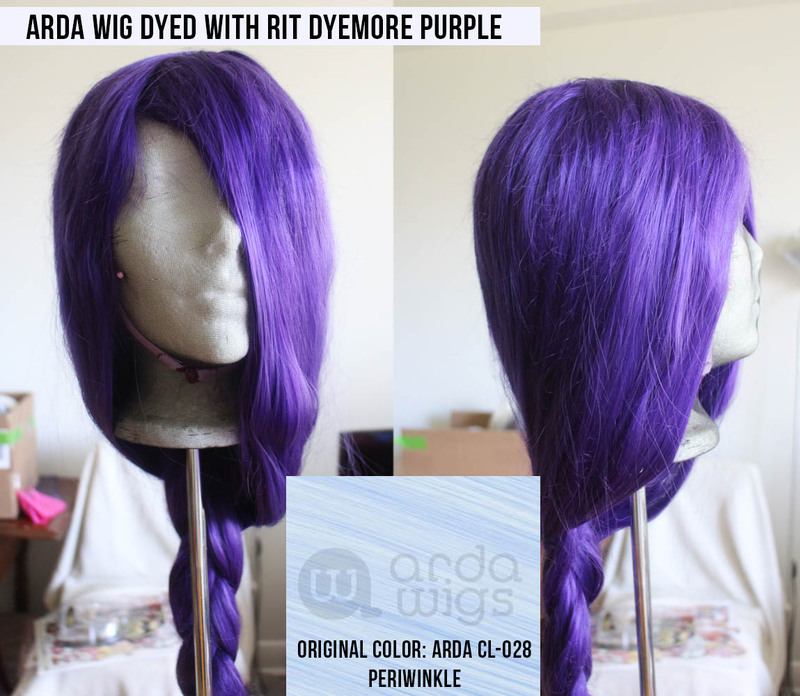 We used roughly 10 cups of water and 1/4 cup of dye for the DyeMore, and 1 scoop of dye for the ProLine. We needed enough water in the dyeing vessel to keep the plastic from touching the bottom of the pot while being stirred: if the Pearly sat on the bottom of the pot for any extended period of time, it would get a mark where the plastic had melted and become darker. We found there was a more clear progression of color intensity over a period of time. The ProLine absorbed quickly – so much so that there was nearly no difference between 5 and 10 minutes. The result is not a fully opaque color as there is still a hint of the Pearly white grain to the piece, but that does not become more pronnounced as it is worked (which we expected would happen). Instead the color remains strong even when stretched or blended. And we do think it has interesting possibilities for doing small detail work…. Can you dye Kobracast Art? Worbla’s Kobracast Art is also white, and we thought it could potentially be dyed for pieces such as leaves for hats. Unfortunately Kobracast Art activates in the hot water and sticks to itself very easily, so we would not recommend this process unless you were working somewhere the pieces could be kept completely flat – and we suspect you would not be able to agitate the water so that might result in uneven color. Of course you won’t always be dying Worbla for your next cosplay – what about wigs? 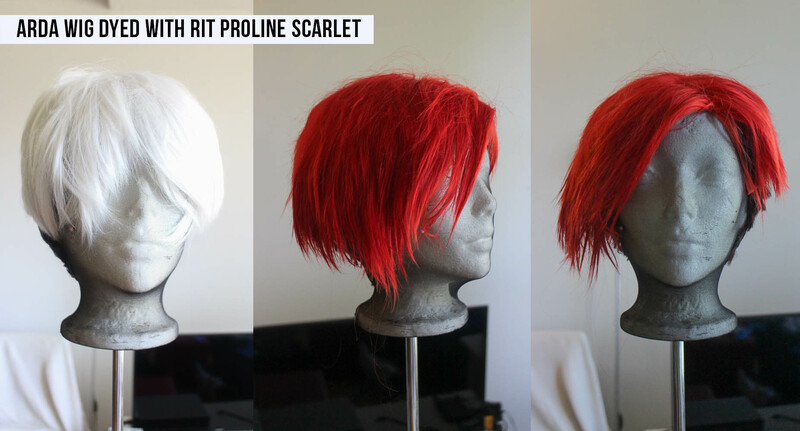 Both Rit Proline and Dyemore dyed wigs beautifully, and were easy to rinse to leave zero residue. One thing I loved was the idea of combining one colorway to tie everything together – making accessories out of Worbla dyed with the same color as you colored your wig, for example. Guess who forgot to take before pictures…. Both of these wigs haven’t been flat ironed or styled, so this is the color right out of the pot, so to speak. 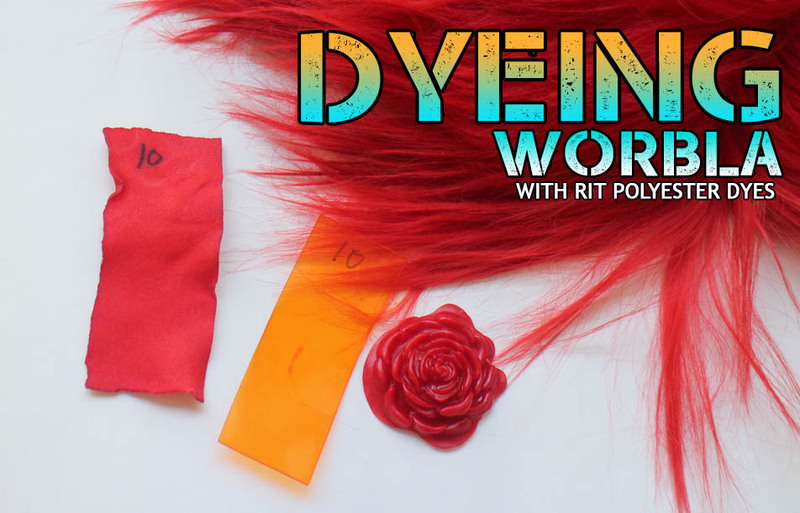 We don’t have a full writeup about how to best dye your wigs with the Rit line, because there are fantastic resources to be found on the subject here and here and here. 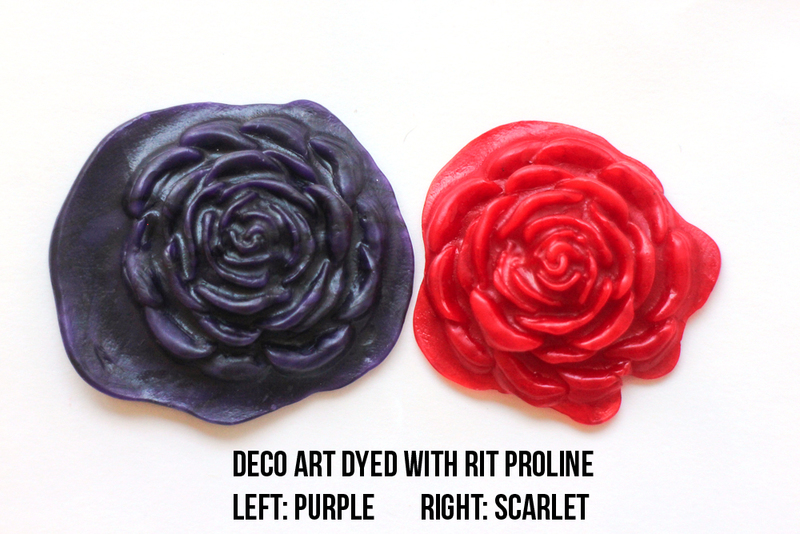 Rit’s synthetic line of dyes are a fantastic resource for dying Worbla products. 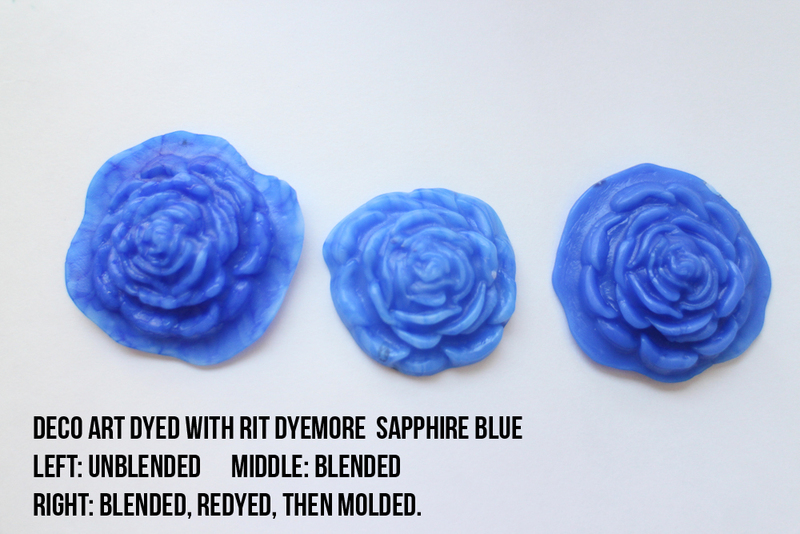 Personally we’ll be using the DyeMore line for the convenience and complete lack of scent, but we absolutely suggest you experiment with these dyes for your next project, not only because they will help you color your Worbla, but because they are a genuinely useful tool to have in your cosplay kit! As always though: test test test! The scarlet for example turned more orange for our TranspArt tests, and the Peacock Green we tried on the Kobracast (not pictured) showed up far more blue. Plastics can be odd, so ALWAYS test before starting a large project!